"A Discovery of Witches," "Shadow of Night," and "The Book of Life," now available in a beautiful boxed set With more than two million copies sold in the United States, the novels of the number one "New York Times"-bestselling All Souls Trilogy have landed on all the major bestseller lists, garnered rave reviews, and spellbound legions of loyal fans. Now all three novels are available in an elegantly designed boxed set that's perfect for fans and newcomers alike. 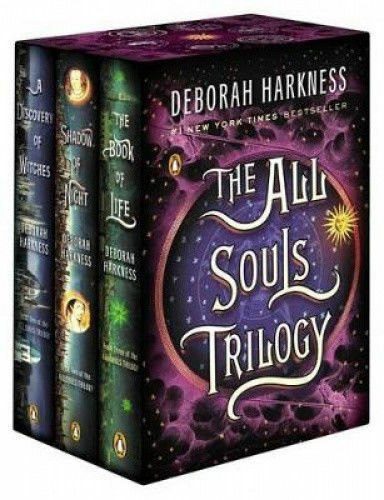 A Discovery of Witches , Shadow of Night , and The Book of Life , now available in a beautiful boxed set With more than two million copies sold in the United States, the novels of the number one New York Times -bestselling All Souls Trilogy have landed on all the major bestseller lists, garnered rave reviews, and spellbound legions of loyal fans. 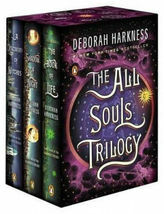 Now all three novels are available in an elegantly designed boxed set that's perfect for fans and newcomers alike.